One of South Africa’s literary treasures has transformed into an eco-friendly gem. Designed by Intsika Architects, the National English Literary Museum is the first five-star Green Star-certified Public & Education building in the country. 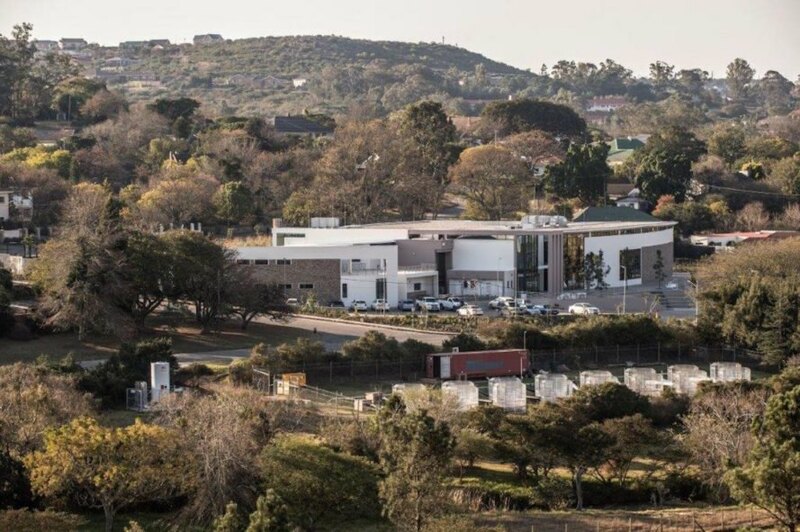 Located in the university town of Grahamstown in the Eastern Cape, this eco-friendly museum meets impressive energy and water-saving targets, and also achieved social objectives through local job creation for construction. The 10,812-square-meter National English Literary Museum was completed in June 2016 for R145 million. Set with a park within a pedestrian-friendly area, the massive building is broken down into smaller elements, while selective massing responds to human scale. As a true community resource, the new library offers numerous public gathering spots and amenities such as a mini-theater, outdoor amphitheater, exhibition area, archives, library, and museum offices. Visual displays about the building’s sustainability initiatives teach visitors about the library’s water and energy savings, as well as green roof efficiency. To meet targets of reducing potable water consumption by more than 95% below benchmark, the library harvests and reuses rainwater from the roof for irrigation, toilet and urinal flushing; features xeriscaped indigenous landscaping to reduce irrigation needs; and installed water meters to monitor water consumption. Stormwater detention ponds capture and slowly release stormwater to prevent erosion in the river system. Daylighting is maximized indoors and a low-energy heat-recovery system provides cooling and heating simultaneously to different parts of the building. Where possible, materials were recycled and sourced locally, and include recycled rubber, recycled bamboo flooring, low-VOC paints, coconut mosaic wall cladding, and recycled plastic carpets. The green roof helps insulate the interior—the green-roofed archives tucked below ground don’t need air conditioning—and gabon walls and natural stone cladding used as thermal massing stabilize indoor temperatures. One of South Africa’s literary treasures has transformed into an eco-friendly gem. Designed by Intsika Architects, the National English Literary Museum is the first five-star Green Star-certified Public & Education building in the country. 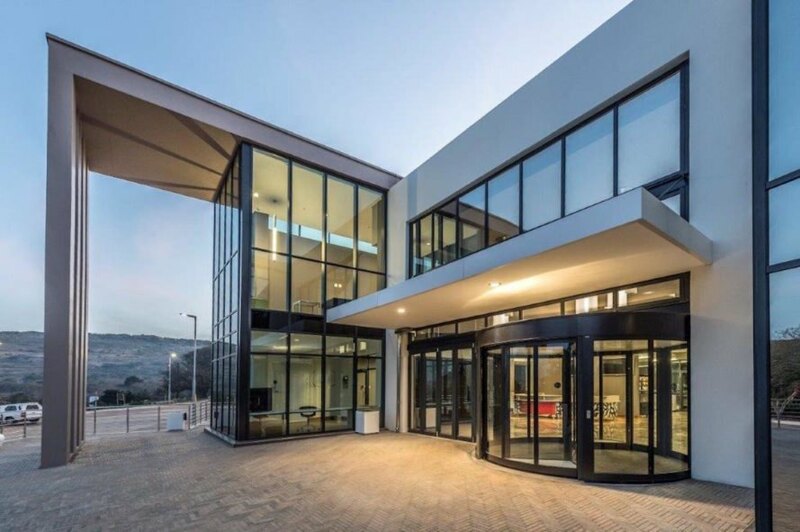 Located in the university town of Grahamstown in the Eastern Cape, this eco-friendly museum meets impressive energy and water-saving targets, and also met social objectives through local job creation in construction. 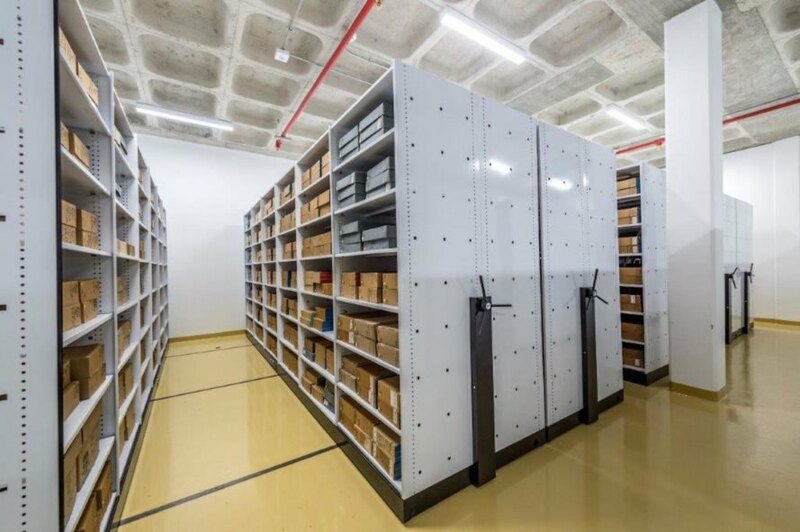 The 10,812-square-meter National English Literary Museum was completed in June 2016 for R145 million. Set with a park within a pedestrian-friendly area, the massive building is broken down into smaller elements, while selective massing responds to human scale. As a true community resource, the new library offers numerous public gathering spots and amenities such as a mini-theater, outdoor amphitheater, exhibition area, archives, library, and museum offices. To meet targets of reducing potable water consumption by more than 95% below benchmark, the library harvests and reuses rainwater from the roof for irrigation, toilet and urinal flushing; features xeriscaped indigenous landscaping to reduce irrigation needs; and installed water meters to monitor water consumption. Stormwater detention ponds capture and slowly release stormwater to prevent erosion in the river system. Daylighting is maximized indoors and a low-energy heat-recovery system provides cooling and heating simultaneously to different parts of the building. Where possible, materials were recycled and sourced locally, and include recycled rubber, recycled bamboo flooring, low-VOC paints, coconut mosaic wall cladding, and recycled plastic carpets. The green roof helps insulate the interior—the green-roofed archives tucked below ground don’t need air conditioning—and gabon walls and natural stone cladding used as thermal massing stabilize indoor temperatures.